Always remember the men that fought on both sides. And always give respects on remembrance day and ANZAC day. When the war began an Australia joined the men flocked to sign up for England and to become a hero. 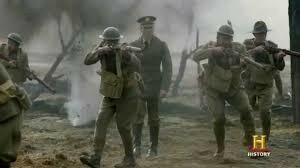 The Australian fought at the third battle of Ypres where 38 000 Australians where killed. Also At the Somme where the Australians where used to halt the thrust of the Germans offensive on Villers-Bretonneux, the plan failed. The Australians where most well known for the Gallipoli Campaign. The Australian and New Zealand forces that landed at Gallipoli will forever go down in history as the brave ANZAC's. the ANZAC's fought in many battles during the campaign. It is documented that at the landing at Gallipoli that the ANZAC's fought bravely and did not wait for orders to act. M.a.I.N is a short way to summaries why the war happened. Militarism: Europe was in an arms race to have the best weapons and army's. Alliances: When Austria-Hungary declared war on Serbia, Russia declared war on Austria Hungary. In response Germany Declares war on Russia, France declares war on Germany because of there alliance with Russia and the British declare war on Germany. Imperialism: Germany was a new country and trying to spread there influence and power. Nationalism: Extreme nationalism led to Serbian students shooting Arch-duke Franz Ferdinana heir to Austria-Hungary in Savajero. On the home front businesses either gained or fell with the loss of males. businesses that help the war effort for example the makers of uniforms. The Australian government spent $1,423,208,000 on the war. With all the men going to fight in the war the women where forced to fill the gaps they left in labor. The Government was under enormous strain by the war with the increase debt there was campaign for the use of conscription but the campaign failed every time. As the war went on people lost interest in fighting for a war so far way and for an empire that threw Australian lives away. 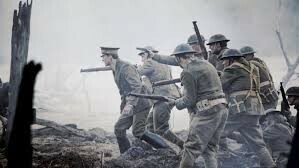 World war 1 was ended on the 11th of November 1918. The war was ended when the armistice was signed in a railway couch outside of Compiegne. The armistice was an effective surrender of Germany and the German government had to pay for all damages caused in the war. Out of the war came a legend of the ANZAC's, ANZAC stands for Australia New Zeland Army Cores. The ANZAC legend was forged on the Gallipoli peninsula. Originally for there bravery but later for the way they where misused by the incompetent British officers. There are many Memorials for the war like Anzac cove and the shrine of remembrance. There are many memorials for the western front and the divisions that fought there. 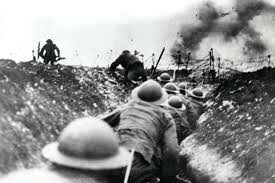 WW1 will always be remembered as the bloodiest conflict the world has ever seen and hopefully will ever see.